Even though you have healthy, great-looking trees on your property, there can still be a problem that exists with your trees. It could be that one or more of your trees is growing too close to your home or building. The limbs of the tree may be large and hanging over power lines, your car in the driveway, or the roof of your home. All it would take is one strong wind or storm, and the limb could come down, causing great damage and perhaps injuring you or others. If the tree is damaged or diseased, the risk can be even more imminent for you. You can take care of the trees in question with affordable and effective tree removal in Sherman Oaks from us here at Your Way Tree Service, Inc.
Our expertise in tree removal can provide you with the safest way to successfully remove any trees for you. We have extensive experience in the industry and are fully licensed and certified to do this work for you. We also carry insurance to provide you with protection should anything happen. We can come to your location, analyze the tree causing a problem for you, and provide you with the best solutions for a safe removal. Our expert technicians can take care of the tree for you using the best methods, tools, and equipment available for the job. When you hire us at Your Way Tree Service, Inc., you will get the affordable tree removal in Sherman Oaks that you need. 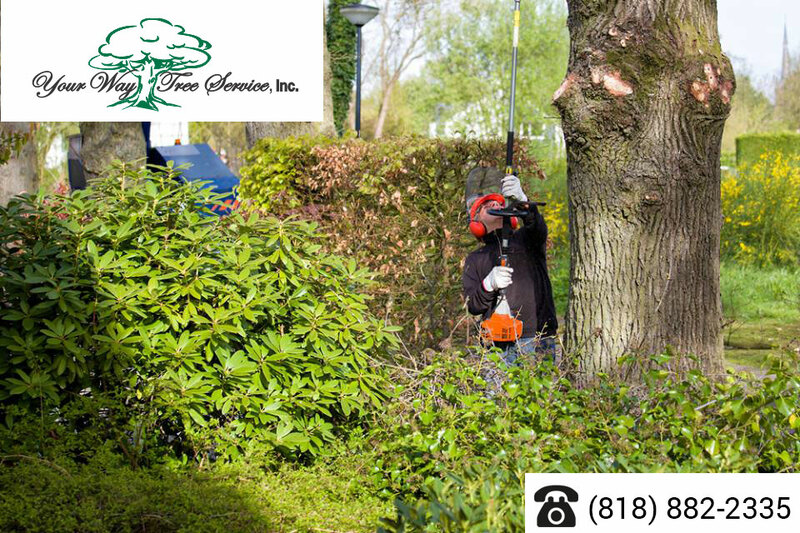 Many people fear that the cost of professional tree removal is too high, but our services will offer you the best prices in the area and we will beat any written quote you receive from another tree service in the Los Angeles area. Our expertise allows you to save the money and time it might cost you to remove the tree on your own and have the job done correctly. If you would like to see about getting safe, affordable tree removal in Sherman Oaks for your property, give us a call here at Your Way Tree Service, Inc. You can phone our office at 818-882-2335 to speak with a member of our staff and schedule an appointment. We will gladly come to you and let you know how we can help you safely remove any tree to help keep your property looking its best and in the safest condition.